Coming to work for 3 Mountains Plumbing was one the best decisions I’ve made. I love working here because it is a secure working environment. To me, this means I know the company will be here and I can control my future employment by working hard and being committed to doing my job with integrity and the well-being of the company. 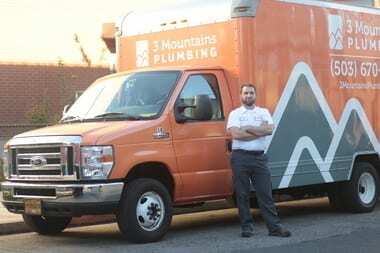 When I first started with 3 Mountains Plumbing I had never done service plumbing work. 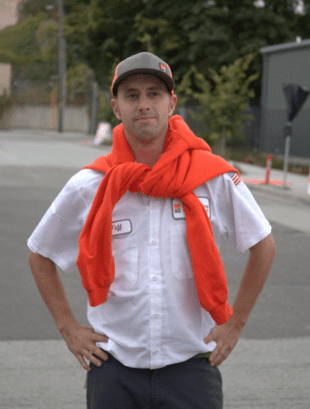 I was a bit intimidated after talking with other plumbers who had done service work. There was a bit of a learning curve, but now I know this was the best path to take. Every day is a new experience and I love having to truly think through customers’ issues to find the best solutions. 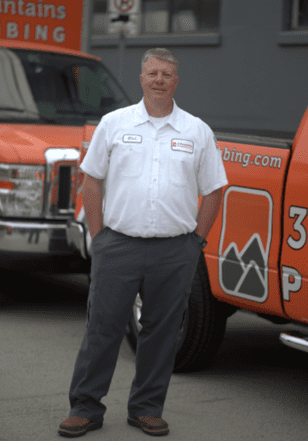 This company has a great team dynamic – every employee from drain techs to dispatch people are committed to helping each other and our customers. I could not imagine working at any other plumbing company. What I love about working at 3 mountains is everything! But to be more specific I will touch on a few key reasons. 1. Hourly pay. We are paid competitive hourly wages, so I don’t feel I need to rely on commission. 2. Control of my success. I control my own level of success. We have bonus incentives in place to reward us for elevating our game. 3. Support. We have unmatched support whether it be from the office team, warehouse team, or field team. 4. No egos. Everyone (even field techs) wants you to succeed at the highest level, and there is a lot of sharing of ideas. 5. Flexibility. I never have a problem taking time off, so I am able to have a personal life. 6. Owner/management. I feel that the owner and managers have my best interest in mind, which gives me the attitude in the field to keep the company’s best interests in mind. Coming to 3 Mountains was the best decision I have ever made and I would recommend everyone make the same choice I made.